Heels help: Heeled styles make you look taller and leaner. I wish this wasn’t the case, but unfortunately it’s a fact. However, low heels are fine and flat styles will also work if you follow some of the tips below. Slouch styles are forgiving: Calf length boots that slouch are often more flattering because they add volume to the lower leg thereby balancing out proportions. Without the volume, you might look like you’ll topple over. Slouch boot volume bulks up a narrow calf, and can also flatten out a wider calf if the volume occurs underneath the widest part of the calf. Find your sweet spot: Calf length boots vary in shaft height. Some styles work better when the tops finish under the calf, while others are best a little higher on the calf. Generally, wider calves look best when the shaft finishes under the widest part of the calf. 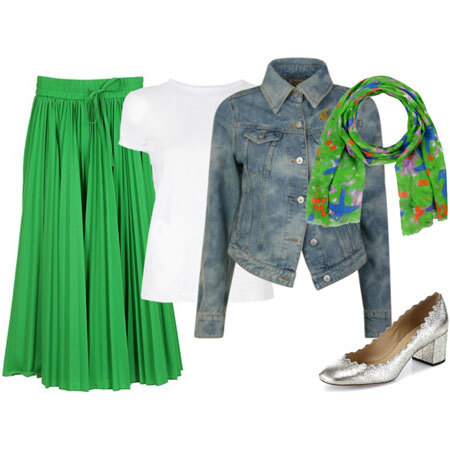 Raise the hemline: Exposing the knee cap is a must when wearing skirts and dresses. Going a little shorter is an option, but not a necessity. Keep the boots tonal: Wear boots that are a similar colour to your legs, your hose or your tights. 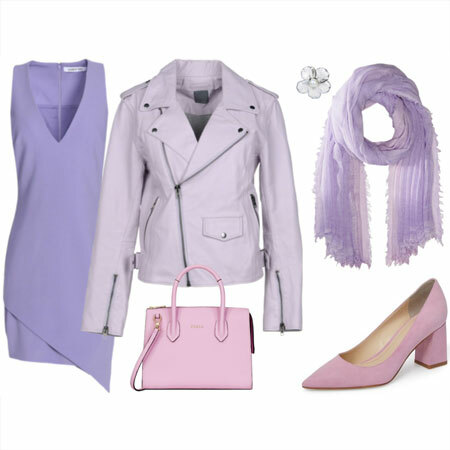 Wear skinnies and boots of a similar colour intensity. For example, the lighter wash jeans worn with grey boots below creates a continuous flowing line because the colour intensity of the two is similar. Pairing black calf length boots with black skinnies is a no-brainer. Raise the waistline: add an empire cut dress or top, cinch in the smallest part of the waist with a belt, or tuck a top into high rise bottoms. You won’t need to follow all of the tips at once to achieve a flattering leg line. I’m happy to keep calf length boots flat and a contrasting colour to my legs as long as my hemlines are raised. It sounds like a lot of effort to get calf length boots to work, but I’m encouraging the style because they’re easier to fit around the lower leg than knee-high boots. No calf circumference challenges or shaft height concerns. So if you fancy the look, don’t give up yet! I have a pair of calf-length boots that pretty much break all these rules: they’re dark red, patent leather, tight-fitting, end at the widest part of my leg and are flat. I bought them years ago as a purely practical item (they’re La Canadienne and I badly needed a pair of waterproof boots at the time), and didn’t love them at the time. Strangely, they attract compliments like almost nothing else I own! I’ve been stopped in the street wearing them more times than I can remember. Crazy! It must be the colour and 60’s styling, I think. These tips are really useful, I can now see how my casual boots could work in less predictable ways. I don’t own slouchy boots, at least I don’t think I do. My “flat” boots are a little higher, and they don’t slouch. However, if weather permits this weekend I may take them out for a walk with a raised hemline and chaperoned by my husband. I’m intrigued. I like the look on you, Angie, and I’ve seen it on others. I’ll keep trying, as I suspect the reason it hasn’t worked for me in the past is because my calves are bigger. I just wanted to offer this link in response to your comment about the difficulty if finding knee-length boots to fit wide calves: http://www.widewidths.com/. This site includes calf circumference information for every boot featured and includes information on how to properly measure your calves for boots based with special considerations for women who are 5’3″ and under. LOVE IT! Angie, thank you so much for these guidelines. I’ve searched for two years for affordable comfortable flat black leather knee-length riding boots that are a good fit for narrow calves without success. Maybe a calf-length will work and give some variety to my boot collection. The biggest problem is that nearly all my skirts are too long but the high belting may be enough to do the trick as my legs are fairly long. Great tips! I wear mid-calf boots all the time and think this is one of the cases in which being shorter and having skinny calves might actually be an advantage. Mid-calf boots cover the skinniest part of my leg, and give me the illusion of balance. Because I am short, they usually hit me just right, at the widest part of my calf, which is what I want to emphasize. 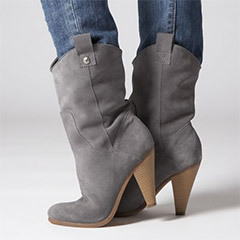 I’m wearing Frye harness boots today with denim leggings and a short-sleeved sweater dress and feel fab! Ele, you don’t need to follow these guidelines. In some instances, your proportions work with this type of boot style, which is to Laura’s point. Sarah, I see no reason why this look can’t work for a wider calf if the style of boot is right. You actually wear 3 to 4 inch heels which is an extra win! Also, you might need to adjust your eye to the look. There is a lot of that going on, on the forum at the moment. Great tips! This is one of the things I’m not sure if I’m doing right so tend to wear them less. I’ll check this post one more time next time I use calf length boots. I tried on a pair the other day and put them back b/c I wasn’t sure they would work! Maybe I’ll give them a go again! For the past few days, I’ve been trying to figure out what to do with mine. Unfortunately mine aren’t slouchy, which I feel makes my legs look like sticks. What I’ve decided to do is to fold the shaft down and make them more ankle-length. I’ll wear them with leg-warmers if I choose to wear a dress. Whether to clip them down permanently or leave them flexible is my dilemma. What do I use to make the leather stay folded? Hmmm, I do feel I made a poor choice in buying these boots, not only is the length a toughie, the toe is more squared than rounded! Though I wish I had known better than to purchase them, I hope that I give my idea a go, especially after talking so much about it! Great tips! 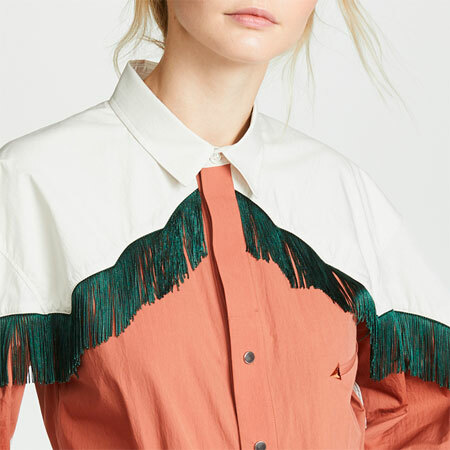 This style can definitely be tricky to pull off, but it’s SO cute when it works. Well worth some experimentation. I do have a pair of J Crew calf height black suede boots that are not slouchy. I have owned them for 10+ years and wore them only 3-4 times always with long pants because every time I put them on with a skirt or dress I thought they looked awkward. Keeping your tips in mind, I’ll see if I can’t get some use out of them this fall! I have been thinking of scrunching down my EM boots to calf length for some outfits. Might investigate that thought further. I love the look of calf length boots. I don’t own any currently, but used to have a pair of black calf length boots (with a 1.5 inch heel) that I eventually wore to shreds because I liked them so much. One more tip, depending on the body type they might look more flattering with an shorter A-line skirt than a pencil skirt. At least that was the case with me (hour glass, quite hip-y) and I’m only mentioning this because one might want to try them with several different skirt and dress cuts and styles before deciding against them! I wear mid-calf boots a LOT, and I think they look great! One of the reasons why I think they work on me is because I have such short legs that knee-high boots would be overwhelming. 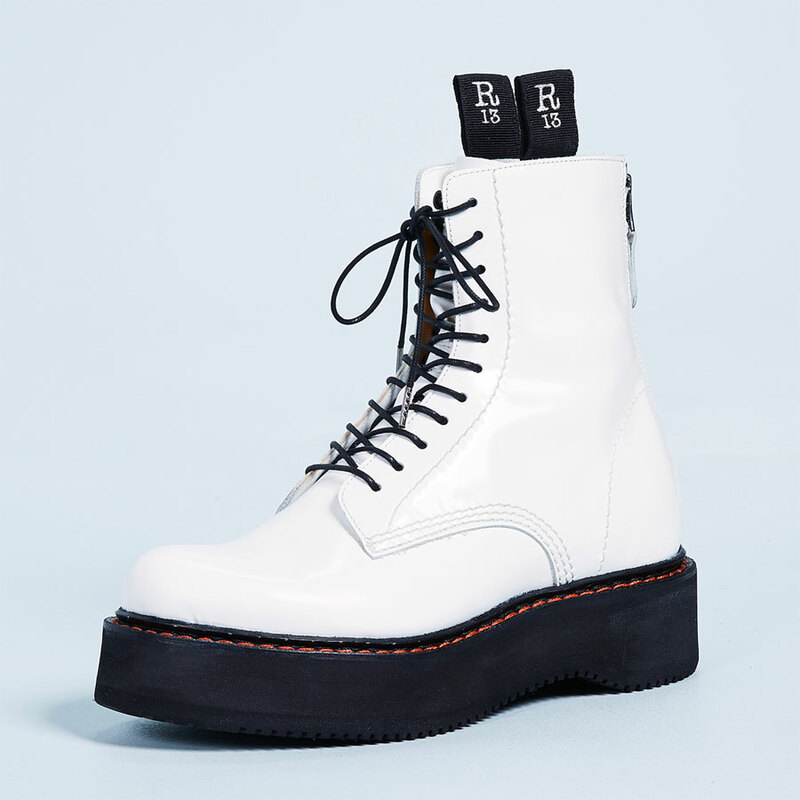 I’d be all boot if I wore those! Oh wow, I better get to wearing my Star Lings, because it sounds like they are best worn with bare legs since they are chestnut, not black. I hadn’t thought about that part. Hmm. Maybe I should’ve ordered the black to wear with black tights? Great post, Angie! I have several pairs of calf length boots and usually just wear them under jeans. I’m excited to try them with dresses and skirts now that I have a better idea of how to do it. I think the next challenge will be finding the right hemlines in my closet! What a great post Angie! This is such useful information. I have already seen the effects of some of this factors on my own when I tried this look for the first time last week. I am really getting into slouchy boots. With my skinny calves, they are so much easier to fit, and work with both skirts/dresses and skinnies! Moreover, for the first time I feel more sonfident wearing shorter hemlines beacuse of the volume they add. Now I want a a pair in every neutral color I think that this will transition beautifully into colder with with hose/tights too. I love the boots on the right! Very cute! I could see wearing them with a very feminine swishy skirt. Hmm. I guess this is just me being boring and conventional, but the penny just hasn’t dropped for me with the calf-length boots – even slouch boots. I know that the boots are supposed to have a loose, slouchy fit, but to my eye it reads “sloppy” and I can’t help but focus on how the look really accentuates the widest part of the calf while masking a slimmer ankle. I react the same way when I’ve tried on voluminous, waist-hiding dresses or tops – I look very bulky and sloppy and wide, not shapely or curvaceous, and I feel very self-conscious. I don’t know if I could adjust my eye to the point of liking this concept on me. I usually only wear my calf length boots with tights of the same colour and a wrap dress- I think it’s really cute! Great tips. This is making me want to buy slouch boots soon. REAL SOON. Great tips! I am 5’2 and had just bought a pair of brown under the calf biker boots but now I am reconsidering my decision. The thing is, I have quite fat calves and I think these boots really eat my legs and accentuate my big calves. I really like my boots though, they are so cute! Do you have any suggestions regarding what I can wear (perhaps colour of skinny jeans) to make them look good? 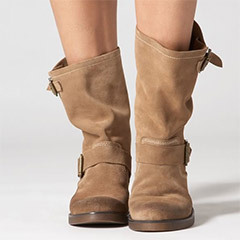 WHERE CAN I FIND THE SHORT TAN SLOUCHY BOOTS THAT ARE IN THE PHOTO? (RIGHT PHOTO)?? I’VE LOOKED EVERYWHERE ON THE INTERNET! I have a pair of square toed Justin Gypsy boots that I think are supposed to hit about mid calf on most girls. However, I am tall, thin, and have long legs so they end up being just a few inches above my ankle. They are really comfy and I usually just wear them with jeans but they just don’t hit at the right spot. Are there ways I can wear them so they look better? Maybe with some sweater socks or boot liners peeking out? i have an amazing pair of black mid calf boots. but i cant figure out a way to wear them. i would love it if you could help me with a little advise about the color and type of jeans and tops that i could wear with them. So glad to read this blog and comments! On a whim I tried on some calf boots because I wasn’t liking any of the ankle boots with my skinny calves. I was amazed that they really looked good on my legs so I started looking for ways to wear them for work. 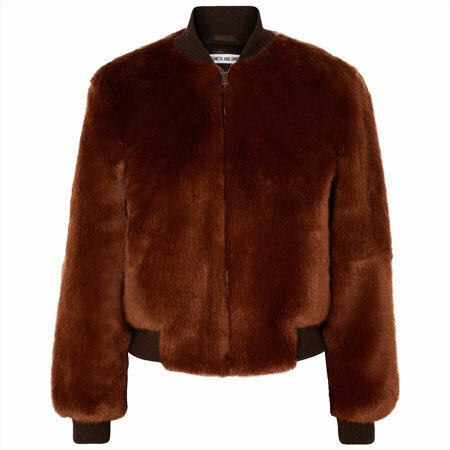 I am a customer style consultant for a local store so it is important that I get it right. Thanks!